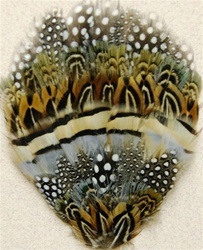 Combination English Ringneck, Grouse(Chukar),and Guinea Hen Feathers. 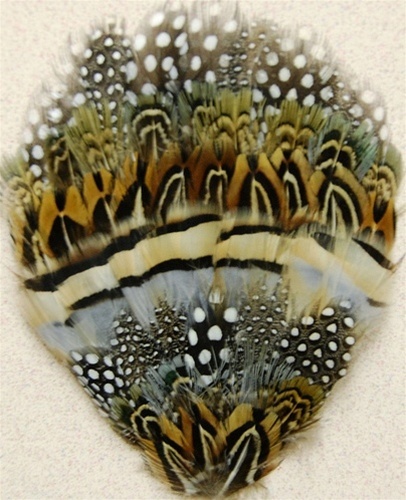 A combination of two types of English Ringneck,Grouse, and Natural Guinea Feathers. A Fancy Pad very popular in Millinery, Headbands, Crafts and many other acsesories. Sold by the DOZEN only.